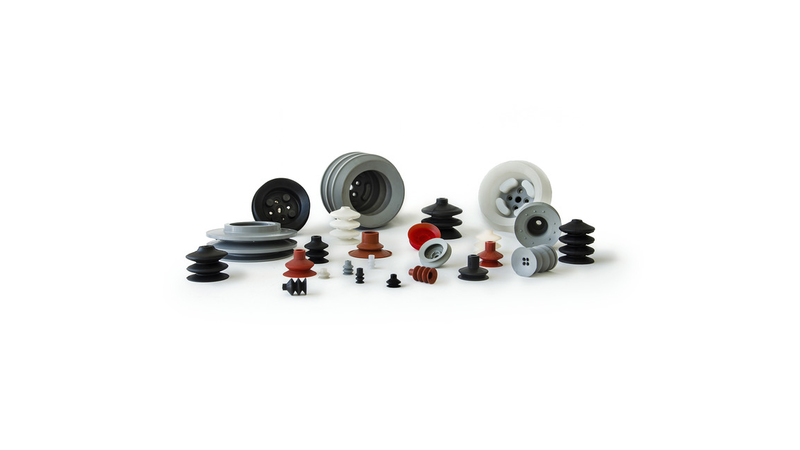 The term "vacuum components" contains all sorts of suctions plates, flat suction cups, bellow suctions cups, vacuum generators and the entire range of accessories from euroTECH. 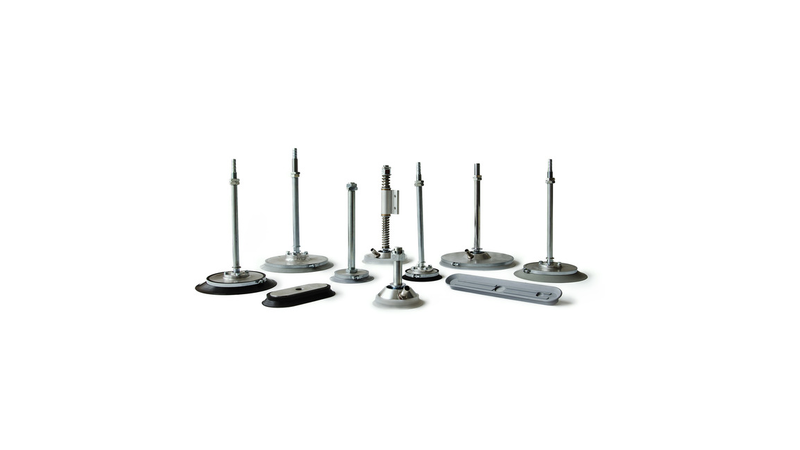 These are compatible construction units that can be mounted on an existing system. 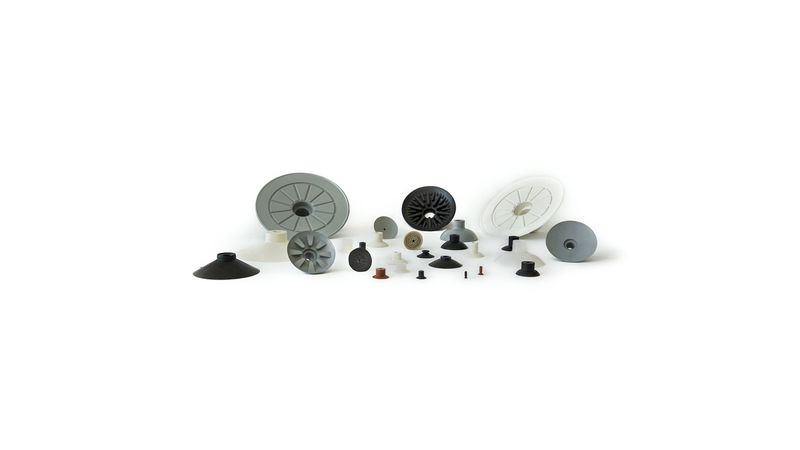 euroTECH produces complete vacuum components by making use of a wide modular system. These suction plates are applied in the glass, wood industry as well as in the plastic and metal industry and many more. They are available in our common materials like e.g. NBR black, NBR grey, as well as transparent silicone.